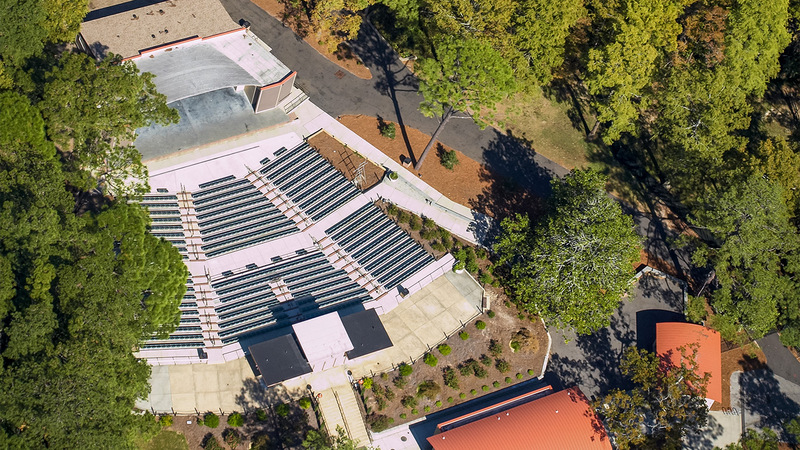 Master planning and renovation of the underutilized Hugh Morton Amphitheater at the scenic Greenfield Lake in Wilmington. The facility is sited on a peninsula projecting into Greenfield Lake with existing tree canopies framing the new accessible entrance. 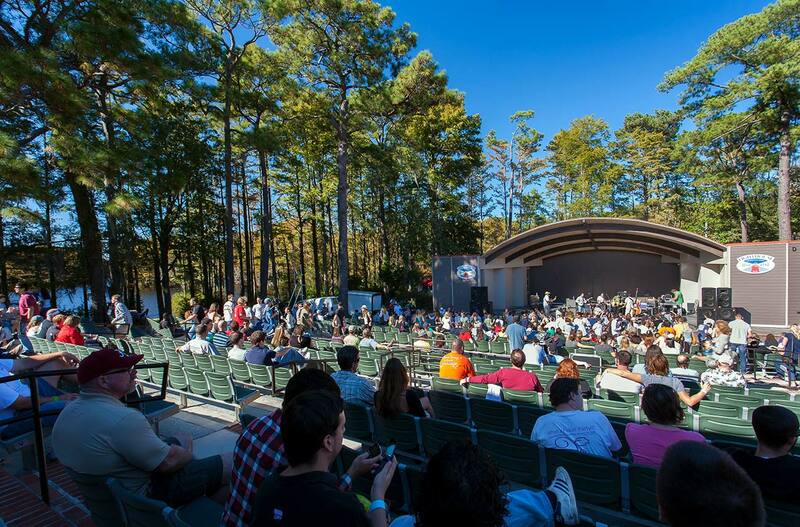 Improvements include an expanded amphitheater shell with conditioned backstage spaces and seating for 900 patrons. 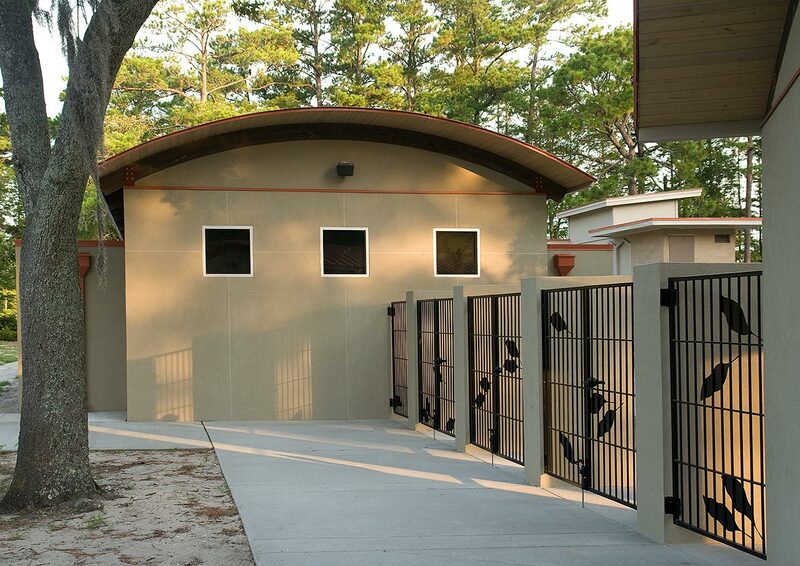 Better control and operation of the facility derives from a new perimeter fence, box office, and concessions building. 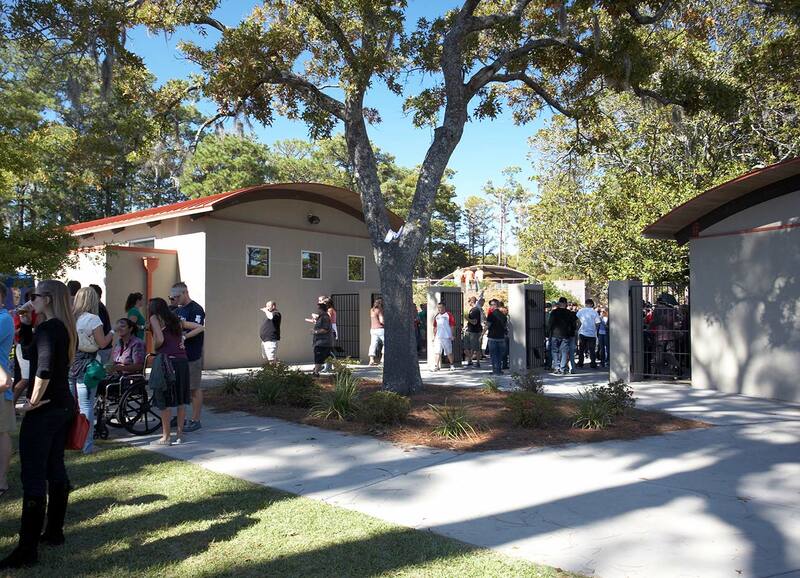 A new restroom and custodial support building, along with accessibility improvements, round out the renovation work. The transformation of this facility involved several funding efforts with the City and developing a phased construction plan.